Get Better - Paint Better! How to become a better painter! As artists we’re never really satisfied with our work, are we? Doing our best is part of what makes us human. We all want to be the best we can be. We have this idea in our head of what we should be able to paint. Yet we never seem to get there. 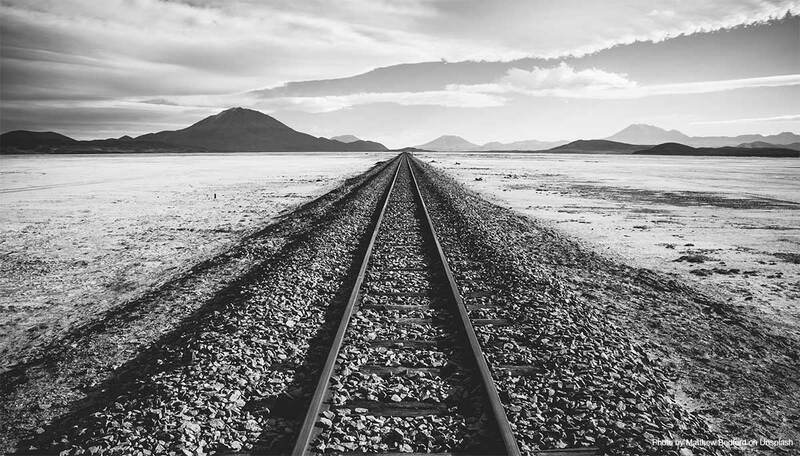 There’s a disconnect between what we can do and what we want to do. We’re chasing the wrong goal. We’re pursuing an impossible objective. It’s like trying to reach the point where the railroad tracks come together. We feel stuck. We end up painting the same old paintings over and over and over again. We feel at least we can get that right. We drool, though, when we see an exquisite still life or a stunning seascape with pounding waves and sandy shores. We want to paint better but just don’t know how. We’ll bounce around from one “teacher” to the next. We’ll watch a lot of videos on YouTube. They don’t seem to help, do they? We might pick up a ninja brush technique or two, but those videos aren’t intended to teach you to paint. The videos are as one YouTube commenter wrote, “Another watch-me video.” The videos are someone showing you how well they can paint. There really ought to be a better way to get better! How do you learn to paint instead of watching another painting video? To paint better you have to learn better. To paint better you have to learn the principles of creating great art. Now it doesn’t matter if you aspire to become a professional artist and sell your work or if you just want to enjoy a relaxing Sunday afternoon painting at your canvas. You still need to learn what turns a painting into a work of art. What happens if you don’t know these principles? You’ll get bored and the passion you experienced when you first started painting will slowly die inside you. Your confidence as an artist will fade and you’ll think that maybe you were right. Perhaps you don’t have what it takes to become an artist. What most people do when trying to get better is take another workshop, buy another DVD, buy some art books or watch some more YouTube videos. But for most people, none of that works. Most painters, even good ones, are not very good teachers. Besides, workshops are a hassle and they never move faster than the slowest student. If that student is you someone else might be finishing your painting. That’s not really learning how to paint, is it? Painting another pretty picture doesn't really teach you to paint. Buying another DVD usually ends up on your bookshelf with all the others. You can’t ask a DVD a question when things aren’t going quite right. Art books are nice but they, pretty much, assume you can paint already. YouTube videos aren’t much help because most of the “teachers” on YouTube are amateurs who know just a tiny bit more than you do. What happens if you just keep doing what you’ve been doing? Your hallway closet fills with paintings you can’t give away, much less sell. You end up painting the same old tired landscapes. You just don’t get any better in your art until you (gasp) just plain quit! Alexander Art has a solution that works! When I started painting I was overwhelmed because I didn’t know where to start. My first paintings were horrible. I went through a couple of different “teachers” before I found Bill Alexander. 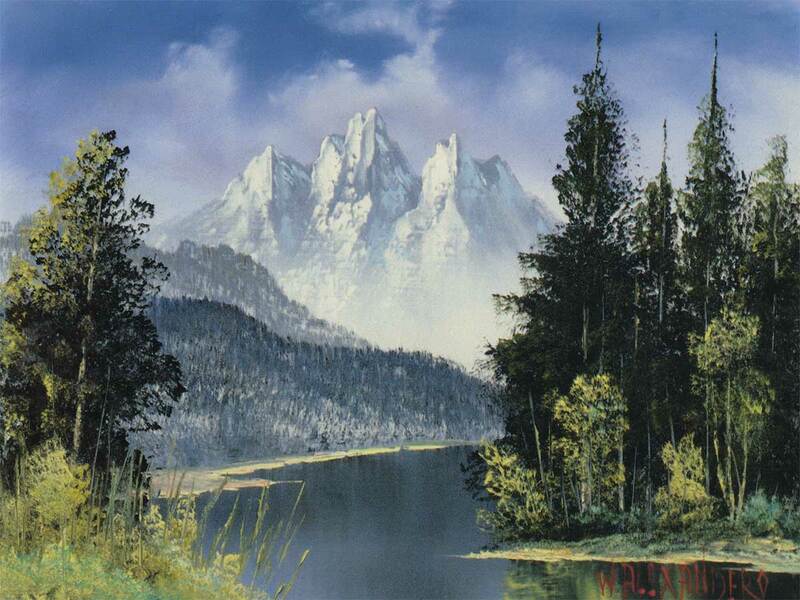 Then I found Bill Alexander and suddenly my paintings started looking like, well, paintings! I found that I needed a plan — a structure to my learning. And…I needed to learn from a master artist who was also a master teacher. I realized I was learning not just how to paint pretty pictures, I was learning the principles of creating great art. I’ve never looked back. I’m going to say something you might find uncomfortable but if you really want to become a better artist, if you really want to be confident at the canvas, you’re going to have to hear it. But…it’s not rocket science either. 5 teaching videos, carefully chosen from our archive, that are rated at the intermediate level. 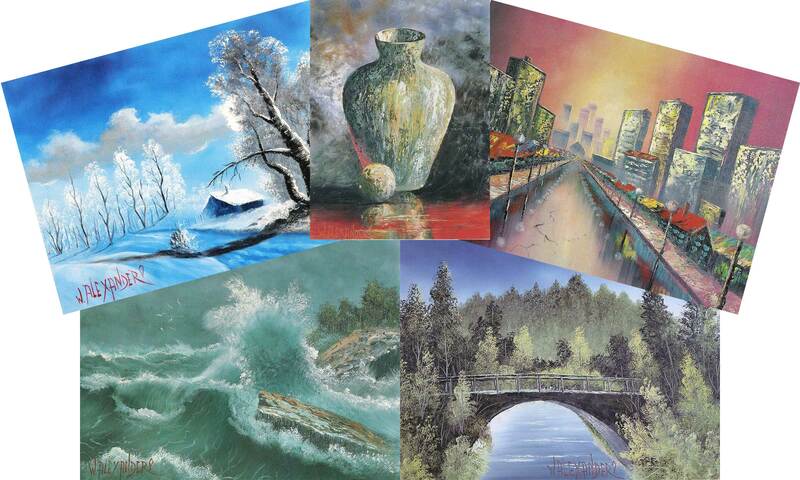 Rated from beginner to advanced intermediate painter, these paintings will challenge you to paint better. Annotated lessons that make sure you don’t miss any of the important teaching concepts Bill has in the lessons. Easy, step-by-step lessons that will allow you to see each part of the painting as it comes together. 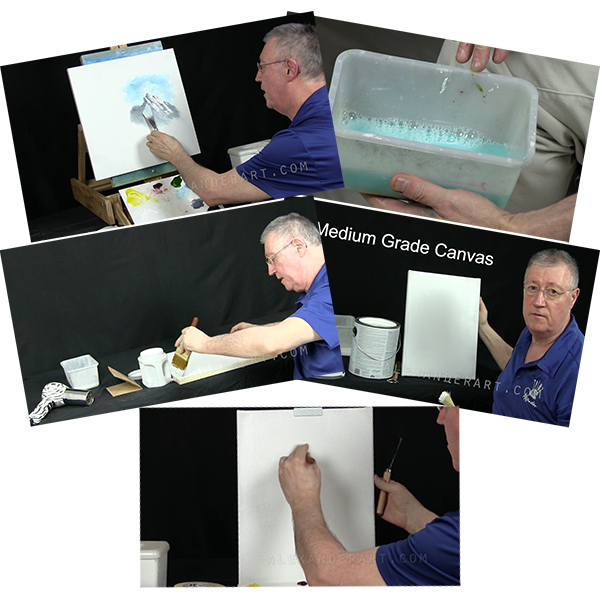 Many of the lessons are less than three minutes so you can watch the segments over and over until you feel confident to apply the lesson to the canvas. A secret Facebook group where you can share your paintings with fellow students and get the kind of feedback and support that will help you grow as an artist. Take your time! There is no pressure or deadline to complete any painting or the course. Lifetime access! If you buy the course, you own it for life. Special early bird pricing! Folks who sign up for this course in the next 100 hours will get a ridiculous discount. At least that’s what our business consultant said! In fact, he said we should be selling the course at full price! An additional bonus video chosen from Bill’s landscape library that will combine all the elements you learned in the course into a stunning painting you’ll be proud to own or sell. 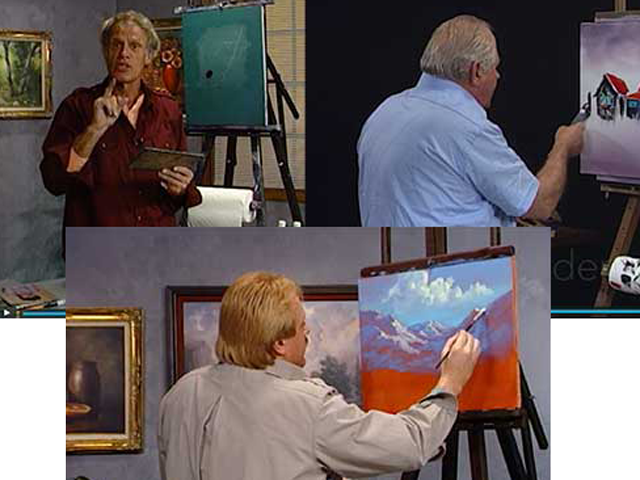 Technique videos from the artists in our archive that will help you add detail to your paintings, help you paint better landscapes and teach you important elements of painting such as composition. Tom Anderson, Master Class Instructor, shares some valuable techniques that will save you money, make your paintings brighter and more beautiful and show you how to remove harmful toxins and chemicals from your studio. Additional intermediate level painting projects that will give you hours of practice applying the principles you learned in the course. These aren't just any written instruction files, by the way. These files have not been published for over thirty years. Some have never been published. "Winter Wonderland" is the very first written instruction file ever produced by Alexander Art. It includes a sketch by Bill himself. To our knowledge, no other sketch by Bill exists. 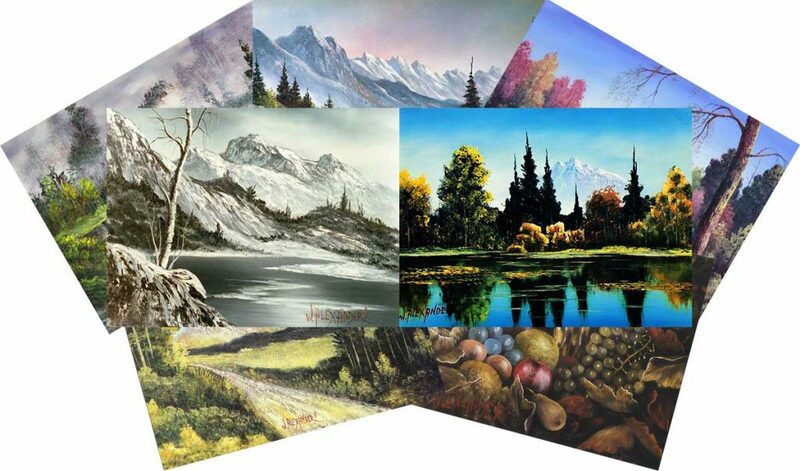 Also included is the painting that won Bill an Emmy Award, "Autumn Scene." All of these paintings will take your art skills to the next level. If you signed up for our VIP pre-notification list, you'll be contacted after the course enrollment closes on how to obtain your special bonus. 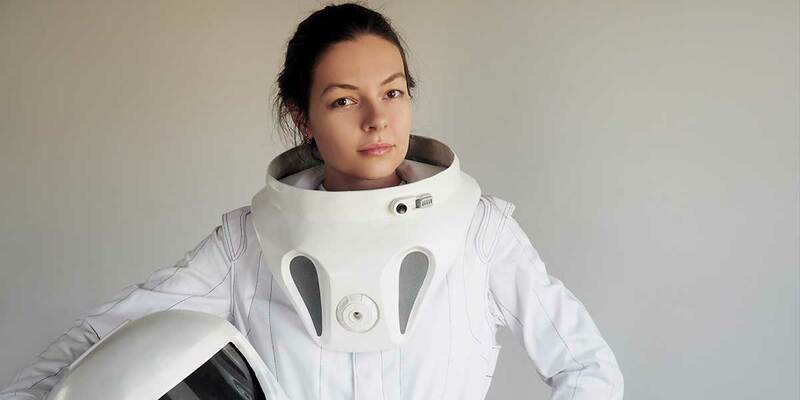 For about the cost of a one-day workshop, you can get an entire art course. Instead of painting one picture in an afternoon, you'll finish this course with thirteen beautiful paintings you'll be proud to hang in your home, give as gifts to friends, or maybe even sell. Heck, sell one painting and you can pay for the entire course! Your investment to become a better artist is only $299. You won't be painting another pretty picture, you'll be learning to paint! You'll be learning from the best master artists and master teachers on the planet! Remember, once you buy this course, you own it (and all the upgrades and additions) for life. The small investment in yourself of $299 will help you continue on your path to becoming the artist you've always wanted to be. The tools and techniques that will help you release your creative power and become the artist you’ve always wanted to be. No one has ever offered to mentor you. Through our Facebook group and our online workshops, we'll give you the opportunity to get feedback on your paintings in a private, nurturing environment. Just click the button below and start creating better art. I want to get better now!